What time of day do you normally poop? I admit it’s an odd question but I was just wondering if everyone usually poops in the morning but if there are people who poop in the afternoon or early evening I wonder if they sleep better at night. I seem to be stuck in a pattern where I will poop at around 7am most days but by the time nighttime comes my bowels are full and I usually wake at like 2am feeling constipated and don’t sleep well the rest of the night. I wonder if I can retrain my bowels to go in the afternoon or early evening so that I will sleep better at night. If I sleep well my anxiety symptoms and inflammation are way better the next day. Seems to make a lot of sense in my case. I can check the difference with my Fitbit to see if I will average more hours of sleep over a months time. I can take Miralax and more dietary fiber to stimulate my bowels during afternoons to help establish a new (and hopefully better) pattern. 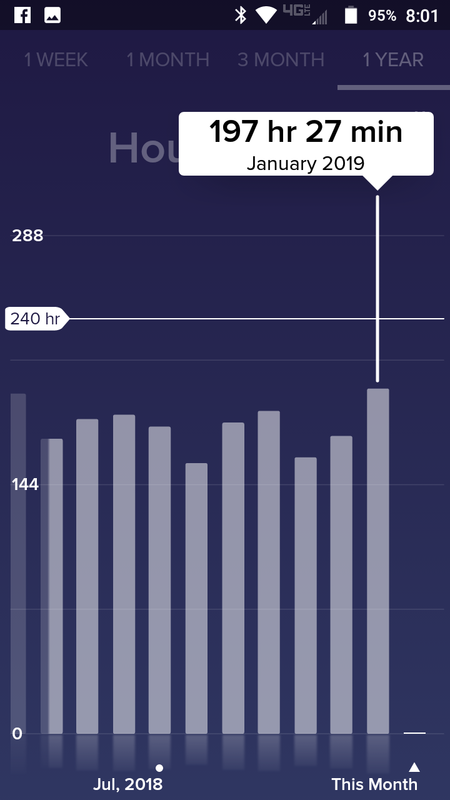 I averaged close to 7hrs sleep a night in January which is better than usual but I can compare my data next month once I train a new bowel time. 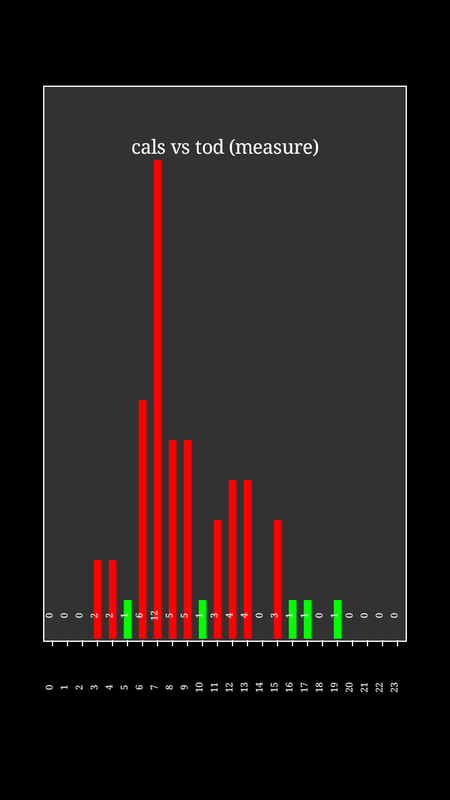 I don't track bowel movements consistently, but just taking a quick glance at the data I have, they seem to occur most prominently in the early to late afternoon. I've never noticed a relationship with bowel movements and sleep, but I don't have the problem you mentioned with waking up in the middle of the night. I have generally good, but not great sleep. If I'm going through stressful periods, I tend to wake up in the middle of the night and it takes a few hours to fall back asleep (though it's not hard to fall asleep in the first place). I have never heard of methods to retrain when you have a bowel movement, but you might be able to train other aspects of your digestive system. Sticking religiously to certain meal times seems to have an effect on people's hunger drive (according to at least a couple QS projects). I wonder if it would have downward effects. I wasn’t aware of the “three by three rule” which apparently means a “normal” safe bowel frequency can be anywhere from three times a day to every three days. Not really sure what the average or median person does. I am a once in the morning person but I would think there would be potential advantages to going more often if it improves sleep and purges bad microbes. 30g of dietary fiber seems to be my target but probably mostly at breakfast and lunch so I won’t bloat at night.